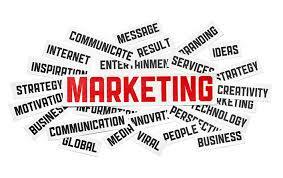 Marketing management is a process that aims at increasing the sales of a company and maintaining high brand loyalty. Effective penetration and dominance in a market is determined by the strategic plan adopted by the business. Effective strategic plans are comprised of four major steps; these are an operational plan, a marketing plan, a personnel plan and a finance plan. The case of Toyota is not an exception. Despite being a market leader in the sale of cars worldwide, retaining such competitiveness while introducing new products is enabled by proper planning. Strategic planning involves situational analysis. During this process, the organization assesses its competitive power. After the realization of the competitive power, the aim of the plan must be established. Clients are always willing to remain in a reputable company that gives them a chance to upgrade their products. Therefore, providing quality and reliable products coupled with concerned customer support is essential. As a department, marketing has its own objectives and goals. However, for conscious performance of the firm, major organizations integrate the objectives of the organization with those of marketing in an effort to increase the returns of the company. The case applies for large companies that operate within spans of market and even nationally and internationally. Despite possessing the largest population in the world, Toyota does not enjoy selling most of its products in this country as would be expected. There are varying reasons towards this such as the preference of individuals in the country to ride bicycles other than use cars. Like any other field, effective marketing requires understanding the different stakeholders of the firm. As a result, it becomes easy to blend the objectives of the company with the needs of the client. Therefore, in the marketing of automobiles, the process should be initiated in the marketing department other than the cross-functional production and development division. In this regard, there are certain effective marketing approaches that can be adopted to enhance the performance of the firm. Email campaigns, research including SWOT analysis will provide the organization with a clue of what needs to be changed and when. If the changes are carried out effectively, the products of the firm will be positioned with the needs of the clients. The sales, finance, marketing and customer support departments have to collaborate to enhance and increase the performance of the company. Effective collaboration can be achieved through the application of the 4Ps marketing approaches that aims at attaining the marketing mix of an organization. The case of Toyota has been analyzed in the paper and how effectively it can be achieved. The paper shows that the process of providing a new product in a company should maintain uniformity. There are different marketing approaches which are well enhanced through the use of the appropriate marketing mix. This creates a reputable brand for the product and the company. When such a process is achieved, the company must strive to strategically position itself in the market. This can be done through the place element. Having understood potential clients and their location, providing service within the location of the buyer creates a sense of personal contact. Promotion is a valuable tactic that automobile companies can use. This is through advertisement, both online and offline. Special offers, endorsements and contests can be an effective way of attracting and retaining customers. The use of vouchers and bonuses on quantity buying will ensure that the clients are impressed by the service of the company.